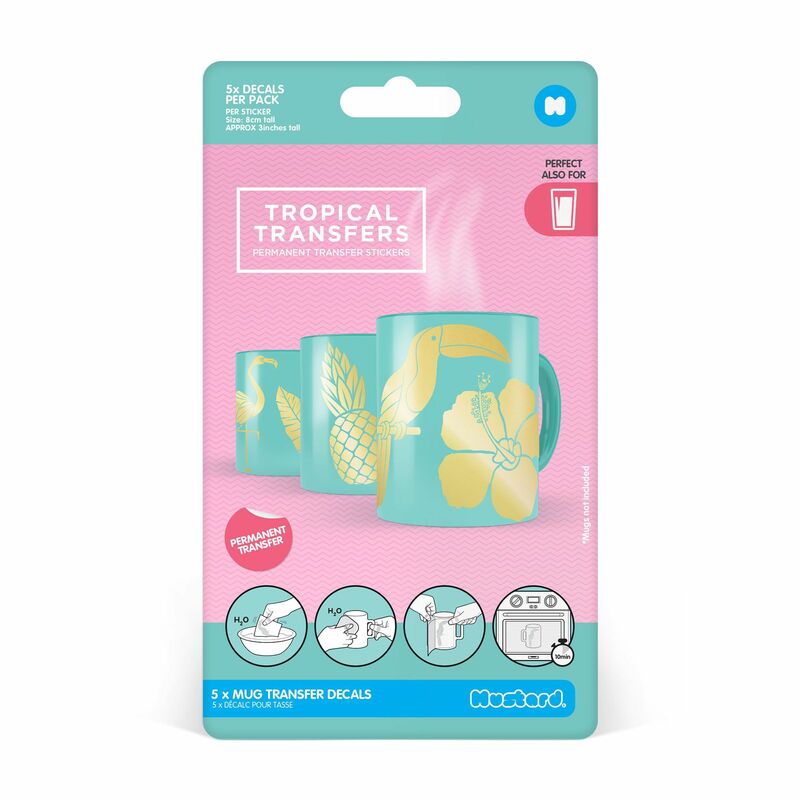 The Mustard Tropical Transfers metallic mug decals are designed to make you feel like it’s summer again and to remind you of your favourite holidays. These cool permanent transfer stickers provide a tropical vibe and can inspire you to plan your next exciting exotic trip while having coffee or tea at work. The stickers come in a pack of 5.
for submitting product information about Mustard Tropical Transfers Metallic Mug Decals We aim to answer all questions within 2-3 days. 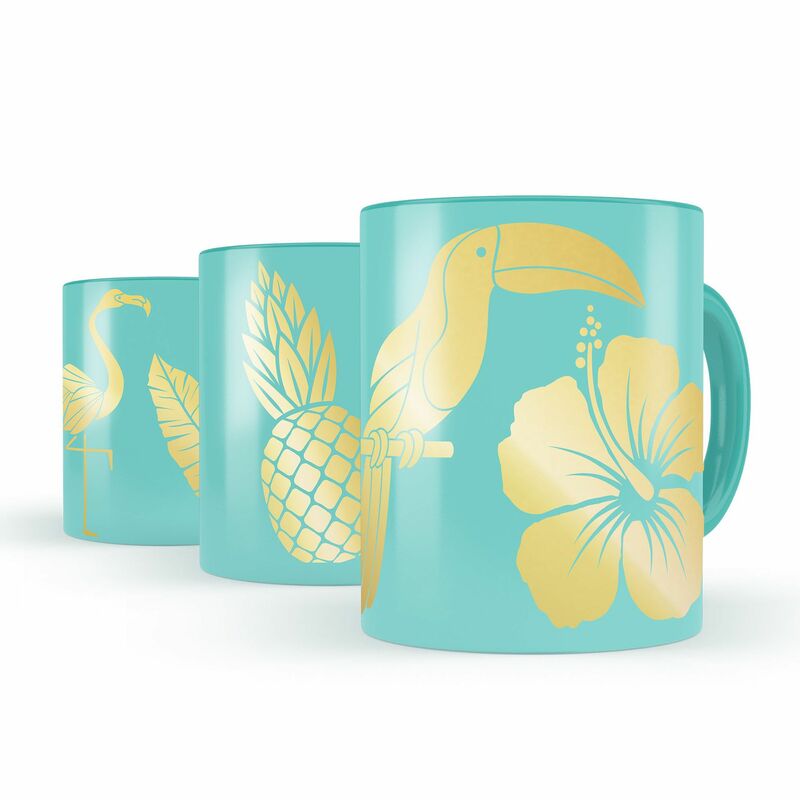 for submitting product information about Mustard Tropical Transfers Metallic Mug Decals. We aim to answer all questions within 2-3 days. If you provided your name and email address, we will email you as soon as the answer is published. for submitting product review about Mustard Tropical Transfers Metallic Mug Decals.